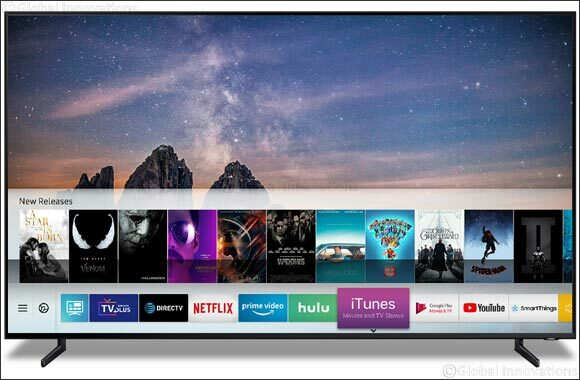 Dubai, UAE, January 08, 2019: Samsung Electronics Co., Ltd. announced today it will offer iTunes Movies and TV Shows and Apple AirPlay 2 support on 2019 Samsung Smart TV models beginning this spring. Support on 2018 Samsung Smart TVs will be made available via firmware update. In an industry first, a new iTunes Movies and TV Shows app will debut only on Samsung Smart TVs in more than 100 countries. AirPlay 2 support will be available on Samsung Smart TVs in 190 countries worldwide.